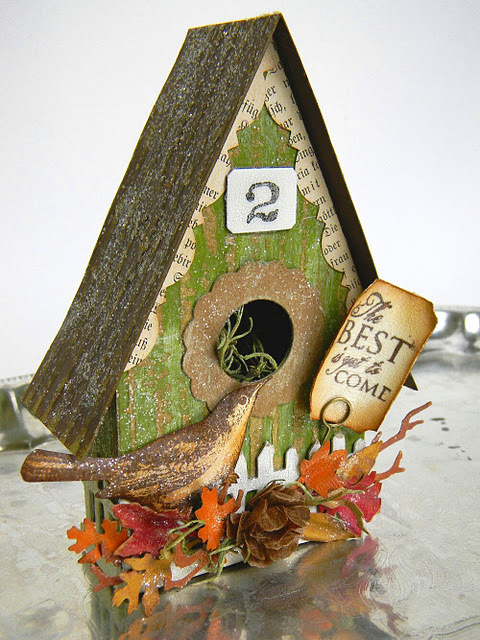 I’m in love with this amazing mixed media bird house! Shelly from Stamptramp shares how she made it and even links to the house pattern. Click here for more detailed info and pics. Shelly’s piece is a stunning work of ART!